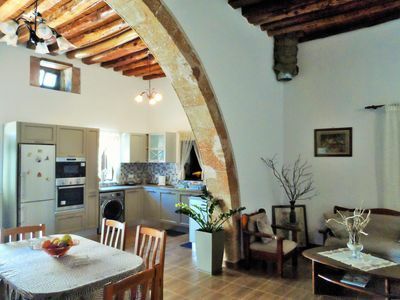 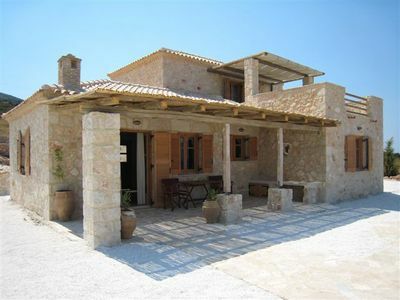 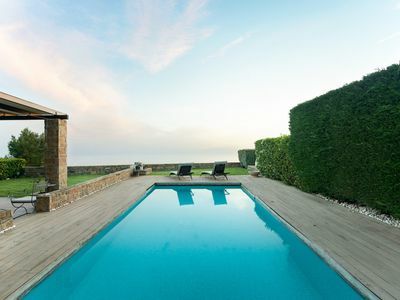 Koukla House - an original Paxiot stone house with pool and stunning view. 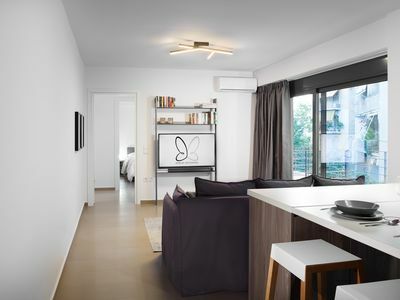 POSSIBLE DISCOUNT FOR 2 PEOPLE OCCUPANCY. 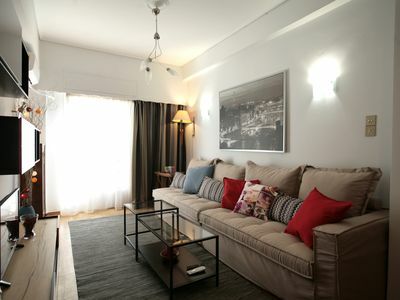 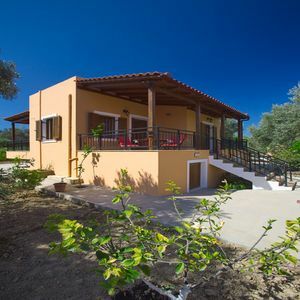 Koukla House is all about privacy and peace of mind. 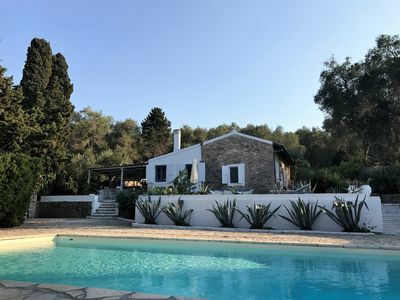 Situated in the centre of the island of Paxos in established gardens totally surrounded by stone walls and less than 10mins drive from all of the 3 main villages (Lakka, Loggos & Gaios). 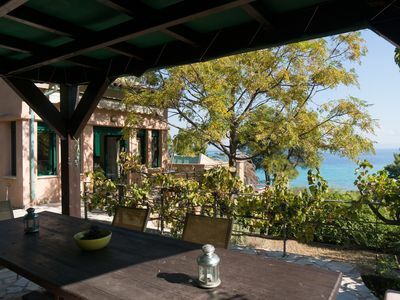 Just a short walk will take you to some of Paxos' most amazing walks & cliff top view points to enjoy your very own sunset with a bottle of wine. 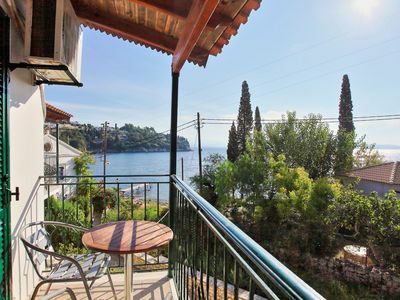 Magazia is just 2mins by car (10mins by foot) offering tavernas, mini markets, village bakery & one of the oldest quirkiest Kafenions on the island. 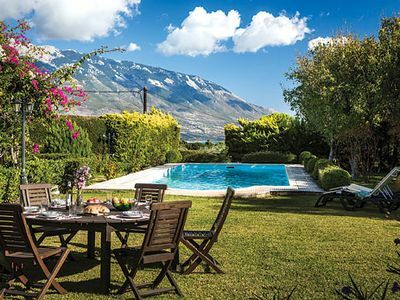 Koukla House is owned by an Italian family so as you would expect there are extensive outdoor al Fresco dining choices & a large spacious terrace which surrounds the large pool. 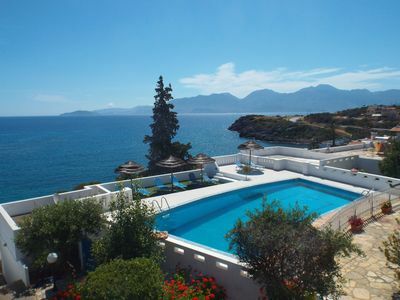 Stunning views towards the Greek mainland & to the southern tip of Corfu can be enjoyed from the terraces & pool areas. 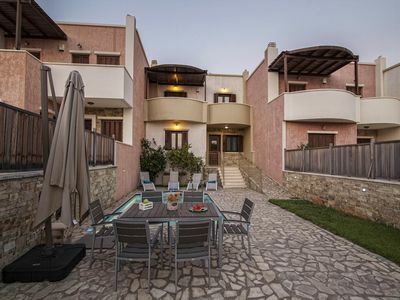 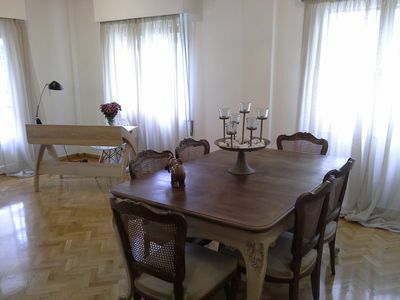 Koukla House has a very romantic story attached. 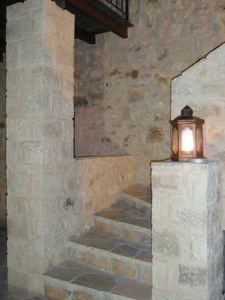 The owners father from Milan bought Kouklas as a ruin along with his main house next door & restored Kouklas & gave it to his daughter as a wedding present. 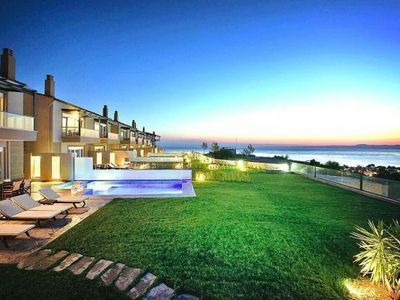 A summer retreat, luxury villa with amazing sea views in Porto Heli! 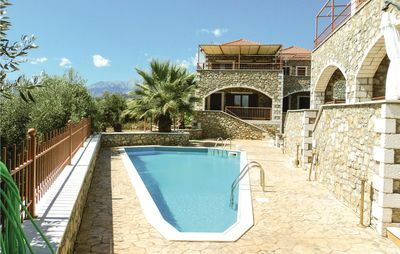 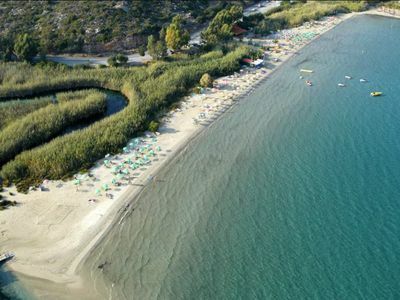 Villa Afroditi: Enjoy the Cretan nature! 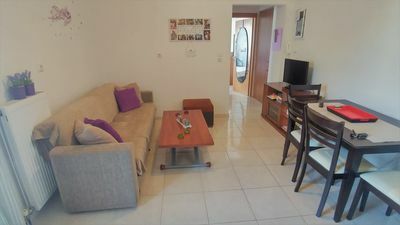 3 Bed 2 bath w/private pool, car optional, free A/C, WiFi & pool towels, pergola, built-in BBQ, hairdryer & Bluetooth speaker. 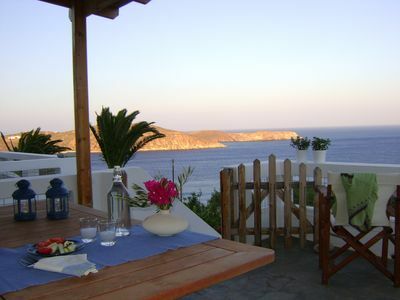 Summer house 5 min walk from beach.